For many law students, membership in and service on an academic journal is a highlight of the law school experience. Besides the intrinsic benefits of strengthening research, writing, and editing skills and forging connections with other students and faculty, journal membership can advance careers. Many legal employers, including judges when they hire law clerks, highly value journal activities. A position on a journal’s executive board attracts particular notice: well before he was the 44th President of the United States, Barack Obama was already well known (at least in legal circles) as the 104th President of the Harvard Law Review. Law reviews have traditionally selected their members based on academic performance, typically a combination of law school grades and scores on a writing competition the law review administers. Some law reviews now also take account of race, gender, and other demographic factors in order to increase the diversity of the journal’s membership. Recently, the latter practices are being challenged in court. In a series of columns, we consider some key aspects of one of the major pending lawsuits. Today’s column focuses on the hurdles the plaintiff faces in establishing standing. In Part Two we will provide some analysis of the strength of the plaintiff’s case on the merits and, more generally, the ways in which the current Supreme Court might view affirmative action efforts by law journals. Efforts by law reviews to increase diversity should be understood in the larger context of attempts by law schools to diversify more generally. Most law schools actively seek to assemble diverse classes of entering students, and in so doing they take some account of race, gender, and other demographic factors in making their admissions decisions. In 2003, in Grutter v. Bollinger, the Supreme Court, applying “strict scrutiny,” held that the University of Michigan Law School’s consideration of race as one factor in a holistic review of applicants did not violate the Equal Protection Clause of the Fourteenth Amendment. In reaching this result, the Grutter Court relied heavily on Justice Lewis Powell’s writing 25 years earlier in Regents of the University of California v. Bakke. The Grutter Court, echoing Justice Powell (and arguably four other justices in Bakke), accepted the notion that attaining diversity in a law school student body, which requires a critical mass of racial minority students, is a compelling government interest because it enhances the educational experience for all students and produces broader social benefits. A new lawsuit against Harvard Law Review (HLR)—one of the country’s leading legal academic journals—contends that while Grutter permits law schools to pursue diversity in assembling their entering classes, federal law prohibits journals within law schools from taking account of race or gender in assembling their entering classes of journal members. In papers filed in federal district court in Boston, a Texas nonprofit organization—Faculty, Alumni, and Students Opposed to Racial Preferences (FASORP)—alleges that HLR is violating Title VI and Title IX, the federal statutes that bar educational institutions that receive federal funding from discriminating on the basis of race or gender. (Title VI and Title IX have long been understood to apply to private universities receiving federal funding the same anti-discrimination requirements that the Equal Protection Clause of the Fourteenth Amendment imposes on public universities.) FASORP contends that HLR illegally considers race and gender in selecting its student members. According to the most recent version of the complaint, HLR chooses 48 new editors each year from the rising second-year law student class, with 30 students selected based solely on grades and writing competition scores and then an 18 additional students chosen through a holistic process that includes consideration of race, gender, and other demographic factors. Moving beyond the membership policy, FASORP alleges that HLR acts unlawfully by giving a preference in its publication decisions to articles authored by women and racial minorities. The complaint also names Harvard University as a defendant, both because HLR is affiliated with Harvard and because of the Law School’s faculty hiring practices. (The challenge to faculty hiring criteria raises many interesting issues but is something on which we do not focus here.) FASORP has filed a similar lawsuit against the NYU Law School and NYU Law Review concerning that law review’s race- and gender-conscious membership policies. Both lawsuits also name the US Secretary of Education as a defendant on account of her allegedly failing properly to enforce Title VI and Title IX against the universities. 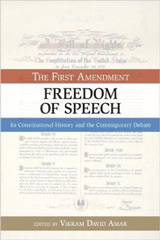 Before a federal court reaches the merits of case, the court must satisfy itself that the plaintiff has the right to have the dispute heard in a federal forum. The Supreme Court has recognized that Title VI and IX give private victims of discrimination an implied right of action. That is, federal government enforcement can be supplemented by private enforcement actions. 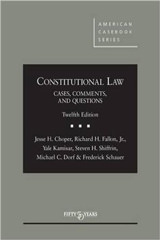 But in order to sue in federal court, all plaintiffs—including those asserting a private right under a federal statute—must, at the very least, meet three basic requirements of standing under Article III of the Constitution: (1) the plaintiff must have suffered (or be about to suffer) an injury in fact; (2) there must be a causal connection between the injury asserted and the defendant’s conduct complained about; and (3) it must be likely that a favorable judicial ruling will address the injury complained of. In addition to asserting its own rights as an organization, FASORP asserts associational standing to sue as the representative of its individual members. To invoke associational standing, FASORP is also required to show that (a) its members would otherwise have standing to sue in their own right; (b) the interests FASORP seeks to protect are germane to the organization’s purpose; and (c) neither the claim asserted nor the relief requested requires the participation of individual members in the lawsuit. These standing requirements pose some significant challenges for FASORP’s case. At the very least, it is hard to see how FASORP can demonstrate standing on its own behalf or on behalf of its members without more information about itself and its members than it has currently provided. The current version of FASORP’s complaint does not identify any individual member by name. Instead, it describes three groups of members FASORP is representing (and says there exists at least one individual in each group). The first group consists of law professors—and particularly white, male law professors—who want to submit articles for publication to HLR. FASORP says these professor-members have suffered an injury because HLR’s article selection decisions involve race and gender discrimination and because, HLR’s article selection is performed by less-qualified students (due to affirmative action), who are also less capable of editing the articles that are accepted for publication. A second group of FASORP members comprises HLR alumni. FASORP asserts that use of race and gender dilutes the prestige of their past membership in HLR, and that this effect is especially pronounced for women and minority alumni members who are perceived to have made it on to law review on the basis of affirmative action. The third group of FASORP members comprises current students at Harvard Law School. FASORP alleges that some of them will suffer discrimination when they compete for law review membership in the future when race or gender is used in ways that reduce their chances of being selected, and further that some current women and minority students who do gain places on law review will inevitably obtain a tainted credential. Although the described groups involve different individuals with different interests, FASORP alleges they are unified by HLR’s unlawful consideration of race and gender. The case is still at a relatively early stage; the court has not ruled on motions to dismiss or summary judgment motions, much less held a trial. But it seems to us that there is an appreciable chance that the case will founder on the threshold question of standing. Comparing FASORP members to Barbara Grutter sheds light on another potential burden for the plaintiff here. In Grutter, there was a high probability that, even if the University of Michigan Law School repealed its race-based affirmative action program, Ms. Grutter still would have not been admitted, because there were more unsuccessful white applicants ahead of her than there were persons of color admitted under the affirmative action plan. And yet, citing to an earlier case involving the use of race in the award of government contracts, the Court suggested that Ms. Grutter had suffered an injury not because she was denied a slot in Michigan’s law school—that would have happened regardless of Michigan’s affirmative action program—but because she alleged she was unfairly treated in the process. The idea that an applicant for a government contract or slot in a university suffers injury by virtue of an unfair process—even if we know the applicant would never be awarded the contract or admission in any event—is quite non-intuitive, and quite controversial. The Court didn’t seem to embrace that notion in cases in the 1970s brought by poor persons who felt excluded by anti-affordable-housing policies by local zoning authorities; in such cases the Court denied standing because the plaintiffs could not demonstrate that they had the wherewithal to live in the defendant’s community even if the anti-affordable-housing policies were not in place. 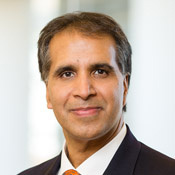 Moreover, in a case challenging the University of Texas’s use of race in graduate school admissions (Texas v. Lesage), the Court held that a plaintiff who had standing to allege unfair procedural treatment in the admissions process would be entitled to zero damages if the university could prove he wouldn’t have gotten in anyway. What kind of injury has a value of zero? 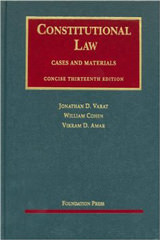 Because of these analytic difficulties with the “unfair treatment in the process” injuries asserted in challenges to affirmative action programs, it is not entirely clear to us that courts would extend that concept to apply it to students seeking access to a law review, as opposed to access to law school admission seats themselves. (And as of now, we have no way to know that HLR’s affirmative action policies are reasonably likely to be a “but for” cause of the rejection of any of FASORP’s members.) And when we move from would-be HLR members to would-be HLR authors, the importance of this procedural injury question is heightened. Since HLR accepts a very small percentage of article submissions, no FASORP member can plausibly claim that he is likely to be turned down for publication in HLR on account of its affirmative action policies. Allowing authors who submit articles to have standing because of “unfair treatment in the article selection process” stretches the controversial concept quite far from its original moorings. And there are other problems concerning standing that confront some FASORP members, at least given the current allegations. For instance, the district court might well view the claims about diminished prestige of law review membership asserted by law review alumni not to constitute a concrete injury. If HLR alumni have standing to challenge current HLR membership and article selection policies, then wouldn’t any Harvard Law alum have Article III standing to challenge any policy or practice of Harvard (say, the way it processes cases of sexual misconduct) that might damage Harvard’s rankings and thus the value of a Harvard degree? Certainly (even putting aside any weakness of any claims on the merits), federal courts should not be open to hear gripes by anyone connected with a university to any of the university’s policies or practices. Even if reduced prestige is a cognizable injury for HLR alumni, on what basis should the court conclude that reduced prestige is certain or even likely to result as a basis of HLR’s affirmative action policies? Indeed, in today’s world, and given the makeup of the academic community that is the main consumer of law reviews, it might be easier to make a case that a law review that eschews any interest in promoting diversity would be likely to suffer a decline in prestige on that account. Yet another problem FASORP faces arises not from Article III standing requirements, but the prudential (though nonetheless important) rule the Supreme Court has created that generally prevents a party—even one that has Article III standing—from asserting the rights of other persons. (This is sometimes known as the prohibition, absent congressional override or some other unusual circumstance, on “third-party” standing.) Whatever one thinks of Title VI and Title IX, it is hard to imagine these laws were enacted to protect would-be authors and law review alumni who have a rather attenuated connection to the educational activity (the law review) alleged to be covered by the statutory commands of non-discrimination. Thus, if aggrieved would-be authors and law review alumni brought suit themselves, their complaint would be rejected because they would be (improperly) trying to assert the rights of the students whom Titles VI and IX seek to protect. If that is true, FASORP cannot invoke associational standing on the behalf of these members. We well understand why FASORP members (including—perhaps especially—current students) might not want to be identified (or to provide more details about their individual situations) in ways that conceivably might address some of the hurdles we have discussed above, given the possibility of negative social, professional or reputational consequences. The Supreme Court itself has also recognized (including in NAACP v. Patterson) that compelled disclosure of the identity of an organization’s members can undermine associational freedom. However, federal courts have ample ability to shield the identity of parties or witnesses in appropriate circumstances. An understandable desire to avoid being exposed to the public does not relieve a plaintiff of the duty to furnish specific factual allegations necessary to establish standing. On many of these questions, the Court’s 2009 decision in Summers v. Earth Island Institute is instructive. The case involved environmental organizations asserting standing to challenge federal forest service regulations. Writing for the Court, Justice Scalia held that the organization lacked standing because while it had submitted an affidavit from a named member who planned to visit national forests, the affiant had not alleged he intended to visit the particular tract covered by the challenged regulation at a specified time in the near future. Rejecting the argument that there existed a realistic likelihood that one of the organization’s many thousands of members would soon use the tract, Scalia held (in keeping with the holdings of other environmental law cases) that individual affidavits with sufficient facts to demonstrate imminent harm were required. It would be hard to conclude that FASORP has met the Summers standards. Perhaps the district court will take a more lenient approach in considering FASORP’s complaint and allow the case to proceed. Perhaps it will permit the filing of supplemental materials that more clearly address what the rules of standing require. Right now, however, the Supreme Court’s admonition that “[g]eneralizations about standing to sue are largely worthless as such” looms large in the case. Next time we will turn to an examination of the merits: what are the legal arguments for and against diversity efforts by law reviews and how would the current Supreme Court be likely to assess such practices? Jason Mazzone is the Albert E. Jenner, Jr. Professor of Law at the University of Illinois at Urbana-Champaign and Director of the Illinois Program in Constitutional Theory, History, and Law. 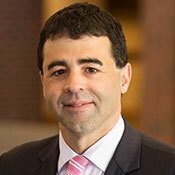 His primary field of research and teaching is constitutional law and history and works principally on issues of constitutional structure and institutional design.